There’s nothing like the wind in your hair and the warm rays of the sun on your face to feel rejuvenated after a long work week. Add the spectacular waterfront views of the Dubai Marina to the mix, and you have the perfect recipe for an ideal weekend in this glorious city. 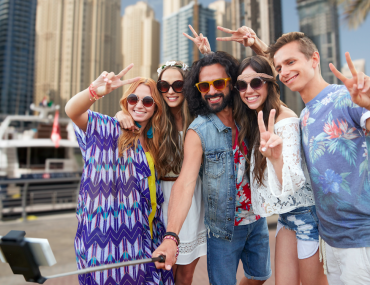 Let’s look at some of the most fun outdoor activities in Dubai Marina for you to enjoy this summer! Love working out, but hate the claustrophobic environment of the gym? Dubai Marina’s Street Workout Park is just what you are looking for. 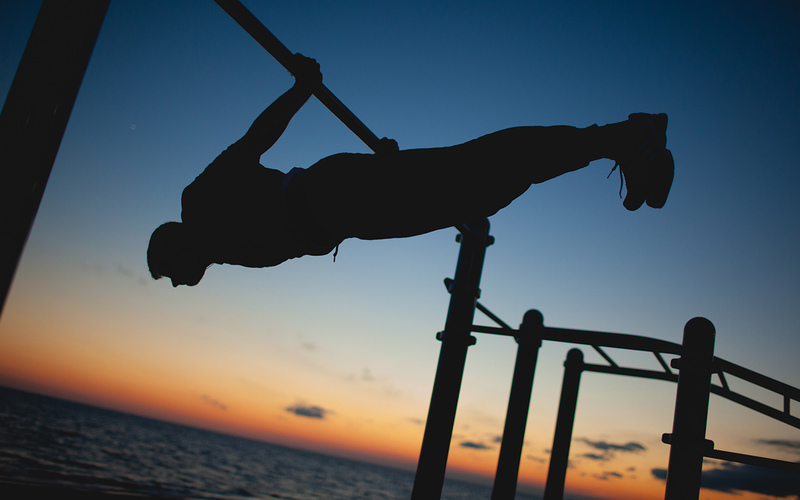 Fully equipped with pull up bars, bench presses and weights, this callisthenics park is one of best outdoor activities in Dubai Marina for fitness enthusiasts. Go a step further and embrace the open air with a skydiving experience at Skydive Dubai, located a few steps away from the park. 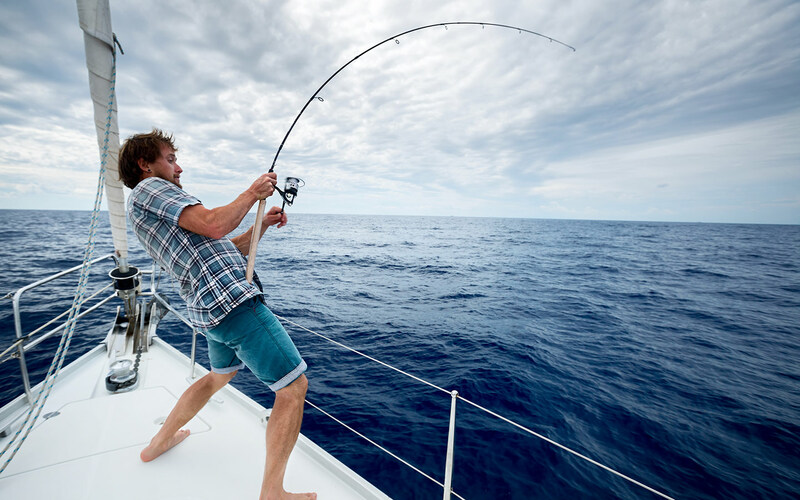 One of the best ways to unwind while taking in the waterfront views of the Dubai Marina is to go deep sea fishing. Hop on one of the fishing tour boats operating in the area and come back with a fresh catch of Barracuda, Snapper, Hammour and King Fish! 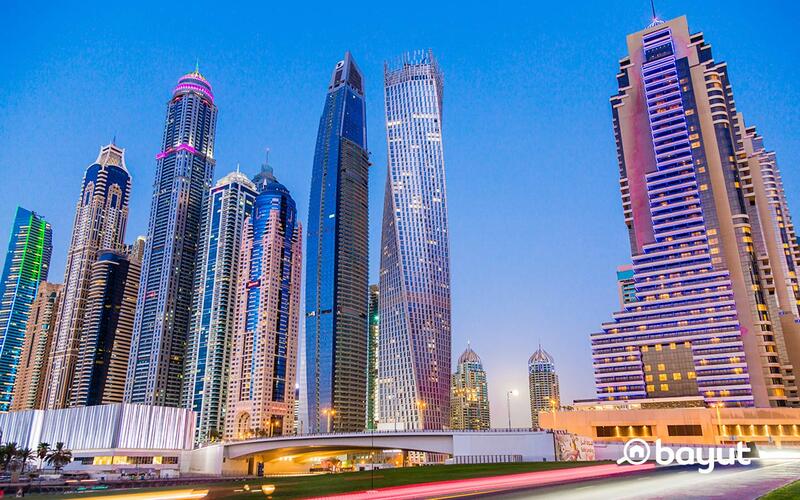 This is definitely on our list of fun things to do in Dubai Marina for the weekend! If you are the kind of person who likes to find quaint little cafes to read in and discover secluded spots for contemplation, hop on to one of the jazzy blue bicycles lined on the streets of Dubai Marina to explore the area. You need to call the number on the bicycle to get the locks off and start cycling. With starting prices as low as AED 15, this is easily one of the best outdoor activities in Dubai Marina for you to become intimately connected to the area. 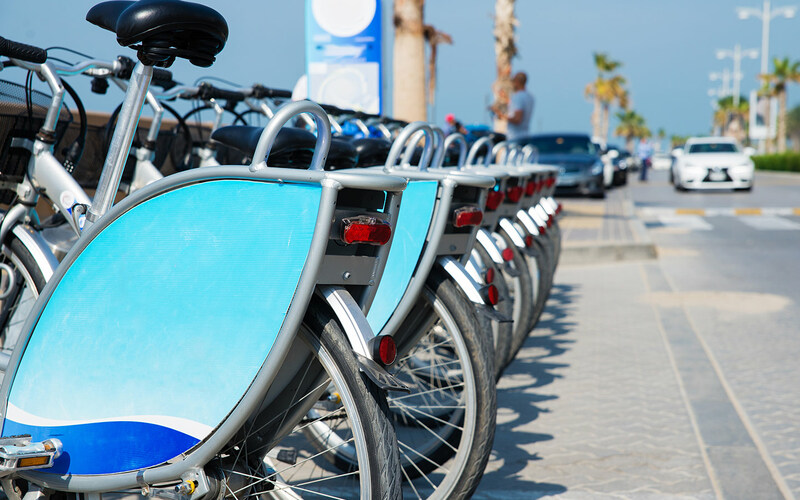 There are plenty of cycling tracks in Dubai Marina for you to get fit and stay healthy. Discover the marine beauty of the city in a special sightseeing tour of the Dubai coastline with the Yellow Boats tours. Start off with a spin around the beautiful vistas of the Marina, take in the views of the iconic Palm Jumeirah and snap up pictures of the world-renowned Burj Al Arab. This relaxing tour is a firm-favourite with tourists for outdoor activities in Dubai Marina. 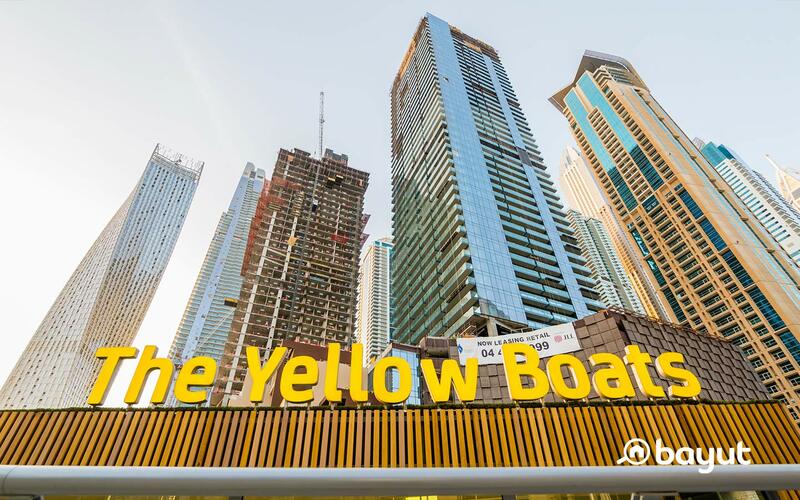 Tickets for the Yellow Boat tours start at AED 294 for adults and AED 220 for children. 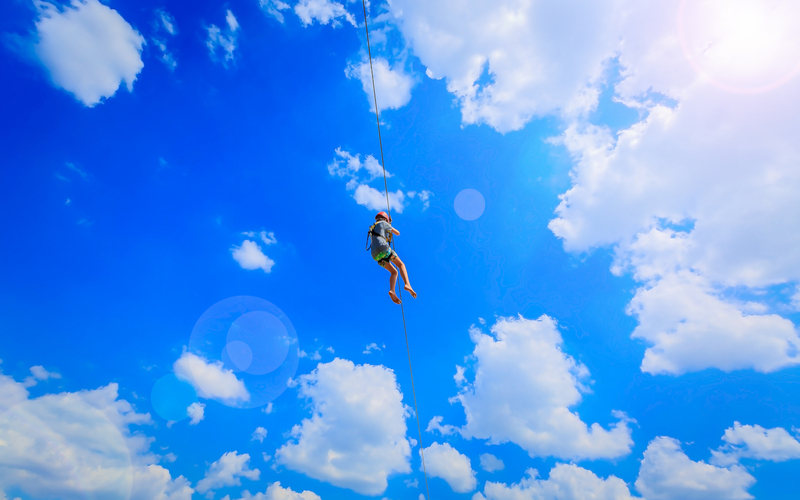 One of the latest attractions in the Dubai Marina is the world’s longest urban zip line, Xline Dubai, launched in December last year. The double zip line comes with a Superman-style harness, allowing you to zip from Amwaj Towers in JBR to the terrace of the Dubai Marina Mall. Reaching an average speed of 80 km/hr this is perfect for adrenaline-junkies in the country. Tickets for Xline Dubai start at AED 650 per person. The gleaming cylindrical tower housing the famous restaurants of Pier 7 is arguably one of the finest destinations for luxury dining in the city. The tantalising tastes of Asia Asia, Fumé, Cargo, Atelier M and the other restaurants in Pier 7 are complemented by the breathtaking waterfront views of the Marina. Dine al fresco in one of the celebrated restaurants in Dubai Marina to enjoy the outdoors at this popular hotspot. There is no city quite like Dubai when it comes to adding the prefix of ‘largest’ to pretty much anything under the fun. The mega Friday Yacht brunch on The Lotus, one of the latest attractions in Dubai Marina has got everyone talking. The free-flowing drinks, wide variety of food, special dancing decks and pool makes this a worthy entry on our list of best outdoor activities in Dubai Marina. This record-breaking brunch starts at AED 395 per person. If you have always been into aquatic sports, you will love the spray of the azure blue waters as you try some of the water sports in Dubai Marina. 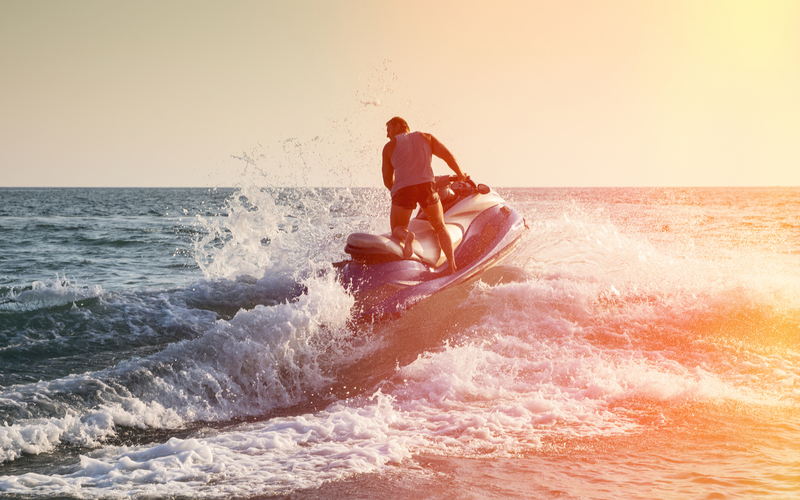 Head to Seabreeze, the latest venue for water sports at the Beach JBR and try jet skiing, flyboarding or hop in the Seabreacher, a semi-submersible watercraft with a shark style body that flies at 80kmp in the water! If that sounds a little too adventurous, relax on the lounge chairs or get a game of volleyball with your friends in one of the conveniently placed courts at the Beach JBR. 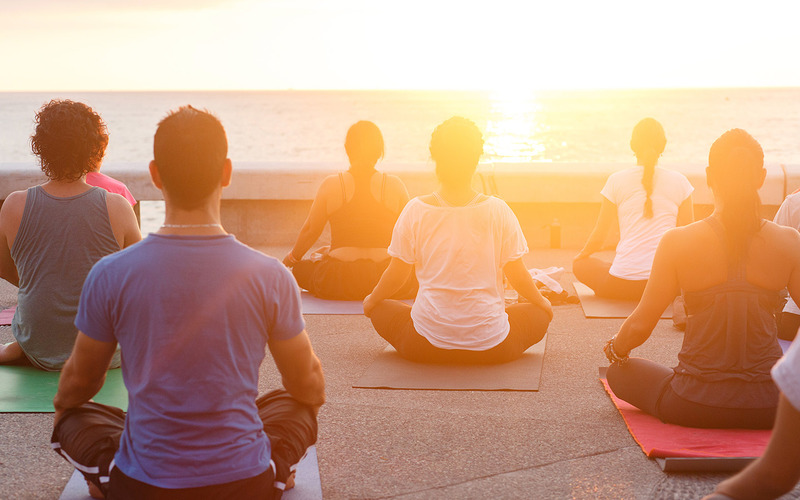 Embrace the glowing rays of the sun and enjoy the free morning yoga sessions four days a week at the Beach JBR. 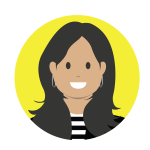 The community initiative is open to all levels and is an ideal way to rejuvenate your mind and body. The classes take place on Mondays, Wednesdays, Thursdays and Saturdays. 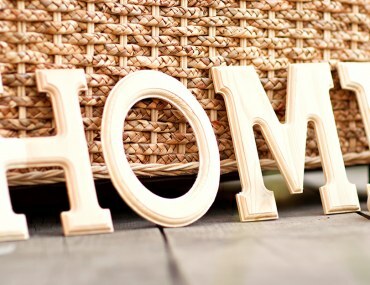 We recommend that you call ahead and make reservations as it can get quite crowded. 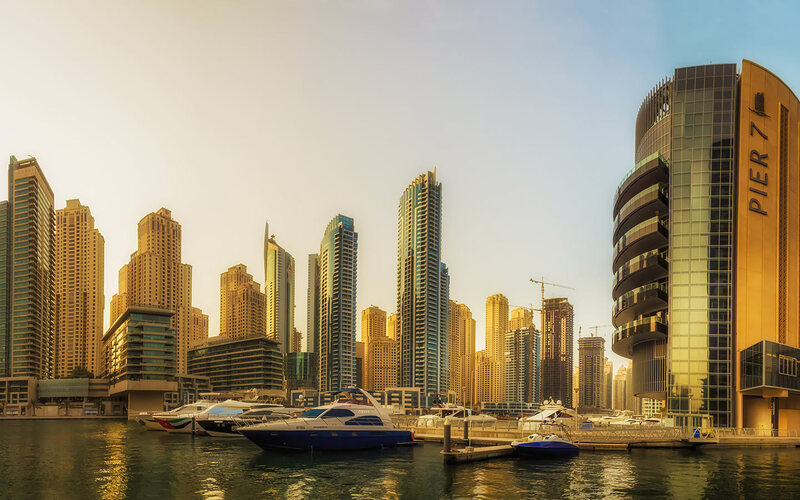 Dubai Marina is predictably one of the most alluring districts of the city. The high rise apartments, lush gardens, spectacular views and enticing dining outlets have made living in Dubai Marina a unique and exciting experience. People flock to rent apartments in Dubai Marina thanks to its upscale lifestyle, luxurious yachts and stylish boutiques. In terms of investments too, buying apartments in Dubai Marina is an extremely popular choice for the city’s real estate investors. There’s never a dull moment when you live here and there are plenty of things to do in Dubai Marina to feed your mind, body and soul! This Saturday, check out some of the exciting outdoor activities in Dubai Marina and let us know your thoughts on this quintessential Dubai hotspot! 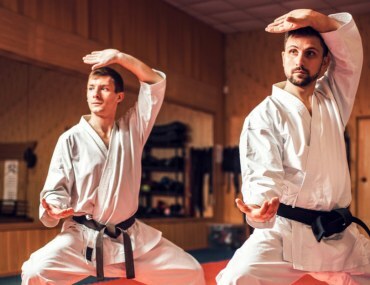 10 Karate Classes in Dubai for Kids and Adults!